Morgan R. Bentley concentrates his practice in the area of litigation involving business and real estate disputes. He handles both trial proceedings as well as complex arbitrations and administrative hearings. He received his undergraduate degree with honors from the University of Florida in 1988, where he was a member of Phi Beta Kappa and the Florida Blue Key Leadership Honorary. Mr. Bentley received his Juris Doctor, with honors, from the University of Florida in 1992 where he served as an associate editor of the Florida Law Review and was a member of Order of the Coif. Mr. Bentley is admitted to practice in Florida State Courts, the Middle District of Florida and the 11th Circuit Court of Appeals. Mr. Bentley is a past chairman of the Florida Commission on Ethics, having been twice appointed by the Speaker of the House of Representatives. 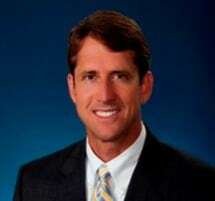 Mr. Bentley is currently the Chair of the Twelfth Judicial Circuit Grievance Committee, Vice-Chair of the Sarasota Tiger Bay Club, a Director of Nate’s Honor Animal Rescue and a Director of the Cotillion Club of Sarasota. He is Past President of the Sarasota County Bar Association, a Past President of Legal Aid of Manasota, a former member of the Florida Bar Board of Governors, Young Lawyer Division, a former member of the Executive Council of Florida Bar's General Practice Section, a past chair for Manatee County Chamber of Commerce School Issues Committee, a past President of the Young Lawyer Division, Sarasota County Bar Association, and a Life Fellow of the American Bar Association. In 2008, Mr. Bentley was selected by the Florida Bar for its 2008 Florida Bar President's Pro Bono Service Award, having previously been recognized as the Outstanding Pro Bono Attorney for Sarasota and Manatee Counties by Legal Aid of Manasota. Mr. Bentley has been recognized a Best Lawyer in America by Best Lawyers, as a Legal Up and Comer and Legal Elite by Florida Trend magazine, a Florida Super Lawyer by Super Lawyers magazine, and was a Gulf Coast Business Review 40 Under 40 recipient. Mr. Bentley was awarded Martindale-Hubbell's highest A/V rating in 2004. McCann Holdings Ltd, v. SDC Communities et. al, PRACTICE AREA: Land Use, tortious interference, local government rights. DATE: April 28, 2017. OUTCOME: Upheld trial court overturning of $20 million verdict against developers participating in comprehensive planning process. Eric Hackney et. al v. Scott Niedecken et. al, PRACTICE AREA: Partnerships. DATE: March 14, 2014. OUTCOME: Upheld verdict defending business founder from claims of ownership by alleged partner. Brivik v. Law, PRACTICE AREA: Malicious Prosecution, Civil Rights. DATE: October 16, 2013. OUTCOME: Upheld trial court’s dismissal of claims against witnesses to fraud claim prosecution. Thrasher v. Arida, PRACTICE AREA: Real Estate. DATE: November 7, 2003. OUTCOME: Trial Court reversed in favor of client. DESCRIPTION: Challenge to entry of summary judgment against client on issue of easement rights across property. FCCI v. National Union Fire, PRACTICE AREA: Insurance. DATE: July 24. 1998. OUTCOME: Doctrine to apply as between insurer and insured. DESCRIPTION: Underlying case involved seven figure reinsurance claim with AIG subsidiary National Union Issue. Successfully overturned Sarasota County Ordinance imposing automatic loss of non-conforming status due to renovations lasting more than one year. Successfully overturned Sarasota County Ordinance limiting development due to presence of mesic hammock on residential lots. Successfully overturned City of Sarasota Nuisance Abatement Board procedures for prosecuting landlords without knowledge of violations on rental properties. Obtained judgment of insurance fraud in excess of $16,300,000 on behalf of large insurance company. Represented Florida Secretary of State in pre-election challenge to ballot initiative to require paper ballots. Represented Florida Secretary of State in post-election challenge involving alleged miscounts by electronic voting machines. Administratively prosecuted Fair Housing Act claim by mental health facility to settlement by the City of Sarasota. Represented owners of nursing home in reinstatement of facility license revoked by the Agency for Health Care Administration. Represented Sarasota County Sheriff Department to defeat claims of fraud in the procurement of service contracts. Represented dozens of claimants in Ponzi schemes and other matters involving financial fraud.